Whether you use Facebook or not, I’m sure you haven’t missed any of the concerns about privacy on social networks. Will Facebook’s introduction of hashtags make people more aware of what they’re making public? My Mum used to tell me ‘if you can’t say something nice, don’t say it at all’. I suspect that in years to come my generation will be telling our children ‘if you want to keep it private, don’t put it on the internet’. Social networks are now so ubiquitous that if you don’t have a Facebook account, you’re in the minority. According to eMarketer, 62% of us are on Facebook, and that figure rises to 88% for 18-24 year olds. I think social media can be a fantastic thing – it’s a great communication tool, a fantastic way to learn and discover new information, and sometimes just a fun way to pass the time when you’re waiting for a train. 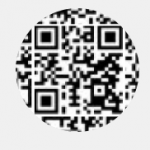 However, given how many of us use it, I think all users could benefit from clear education about how it works, and exactly what information we’re giving away when we click that ever-present ‘like’ button. And that’s why I welcome Facebook’s introduction of hashtags. While they’ll be a great tool for communications professionals, and people who want more ‘page likes’, they’ll also be an interesting education for users. 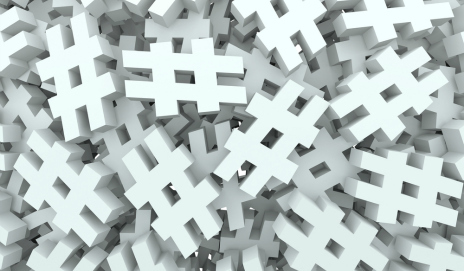 A hashtag, in case you’re not familiar, is a word or phrase marked with the ‘#’ symbol. When you add a tag, it turns into a link, which then takes you to all content that contains that symbol. It’s a quick and simple way to put updates into a category, so I could see all tweets about #sustainability, for instance, or all instagram pictures of #cupcakes (I look at the latter more than the former, I’m ashamed to say). So why is this good for consumers? Well, what it means is that if they begin to use hashtags on Facebook, your status updates, comments and posts will be pulled into a feed for that tag. So if I use #cupcakes on Facebook, other Facebook-based cupcake enthusiasts will be able to see my fabulous sugary creations. And I like that – it opens up the social network and makes it more of a place to discover things, rather than just have conversations with my existing friends. I’ve always liked Twitter more than Facebook, simply because it throws a lot of information at me that I’d never have discovered if I only relied on the recommendations from friends or the papers I read. But, more importantly, I think it will be a useful education in Facebook privacy. Facebook says that: ‘When you click on a hashtag in Facebook, you’ll see a feed of what other people and pages are saying about that event or topic.’ This is significant because although your status updates may not have been easily searchable in the past, they may well have been public. There are excellent examples of this on websites like Weknowwhatyouredoing.com, which pulls in some quite shocking public Facebook status updates (think boss-hating messages or illegal drug-taking pictures). When hashtags are implemented on Facebook, and strangers begin ‘liking’ my sticky-toffee cupcakes, it’ll be plain to me that I haven’t calibrated my privacy settings so that only my friends know my baking secrets. Facebook says that ‘As always, you control the audience for your posts, including those with hashtags’, which is definitely useful. However, I suspect that many people don’t realise they can do this. When strangers suddenly start commenting on their updates, it’ll make it even more clear that Facebook isn’t quite the private chat with friends you thought it was. Never ceases to amaze me that people make so much fuss about government snooping yet put every detail of their lives on Facebook. None of my online friends can have me extradited to GITMO. Possibly but not only can you not be sure they are who they say they are but it’s not only your friends who can read this stuff. I agree with Phil and also wonder why people walk the street, sit in cafes and restaurants, talking at full volume about the strategy or something similar. #cupcakes – I wish they would sink into obscurity, removing their their sickly sweet ‘cream’ on the way. They are lovely fairy cakes, spoiled by a disgustingly sweet topping. I use Facebook to communicate with friends and family only. It is my second favourite form of contact, the telephone being my favourite. I find the 140 character limit on Twitter very limiting. The other problem is when I post a comment on a twitter account, eg. a complaint or an enquiry to a company, I am the only one, apart from the company, to see it, no other follower of the company sees it. I would much rather the company had a Forum. I use the Talk Talk one from time to time and it has been very useful to me, as a customer. I think you’ve mentioned your concerns about Twitter before. When you want to direct a tweet at a particular company, I recommend checking their Twitter profile to see how they deal with customer service issues. For example, M&S has two streams to its Twitter profile – one called ‘All’ and one called ‘No replies’. By default, ‘No replies’ is selected. To see all M&S tweets to other people, click on ‘All’ above the list of tweets. Here is the M&S ‘All’ stream: https://twitter.com/marksandspencer/with_replies. If a company replies to your tweet, and it really should, other people will be able to see your message and the response. I agree that a forum is a very transparent way for customers to spot common complaints and share issues with others. Such forums need to be well managed, so that questions do not go unanswered. I have no plans to tweet anything, except perhaps a request for an email address instead of having to use one of these silly Web-based forms that makes it awkward to keep copies of correspondence. As far as serious communication, Twitter is not fit for the purpose because of the character limit and simply not necessary in my view. As far as Facebook goes, what I have read on Which? Conversation has provided enough reasons not to use it, with or without hashtags. amongst multiple known social circles. So many ways to ruin relationships! I am very concerned about Facebook privacy, to the extent that I’ve always avoided using it. So I was surprised and annoyed to receive a series of emails from them informing me that they had set up an account using my name and email address. I immediately replied saying I did not want an account and would they kindly delete it, but they just sent me a ‘standard letter’ email asking for my passport or driving licence. Obviously I have no intention of sending them these documents so we have reached an impasse. I now have a Facebook account I do not want and which I can’t access. So where do I go from here? Seems to me you are the victim of a scam Davey. I know little of Facebook other than it seems very unlikely course of events. Obviously it is a scam, by whom I don’t know, and I have reported it to the authorities. Nevertheless there seems to be no way to get Facebook to delete ‘my’ account. They have no means of doing this. Thanks for the additional information. So it is fact then that anyone can start a Facebook account in anyones name and e-mail address and Facebook have no way or reasonable way to close it!. I find that worrying that no confirmatory e-mail is required by Facebook to prove it is not being spoofed … mind you if you want to claim the number of subscribers Facebook does to entice advertisers why would you not want lots of accounts spoofed or otherwise. Very unsatisfactory. Perhaps Which? can help in rooting out these problems. You have hit the nail on the proverbial head!